We are at a dangerous crossroads in our history. The dangers of a Third World War are routinely obfuscated by the media. A world of fantasy permeates the mainstream media which tacitly upholds the conduct of nuclear war as a peace-making endeavor. World War III is terminal. Albert Einstein understood the perils of nuclear war and the extinction of life on earth, which has already started with the radioactive contamination resulting from depleted uranium, not to mention Fukushima. The media, the intellectuals, the scientists and the politicians, in chorus, obfuscate the untold truth, namely that war using nuclear warheads destroys humanity. “Fake News” has become “Real News”. And “Real News” by the independent online media is now tagged as Russian propaganda. In turn, the independent media (including Global Research) is the object of censorship via the search engines and social media. What we are dealing with is a War against the Truth. Objective reporting on the dangers of a Third World war is being suppressed. Why? The future of humanity is at stake. The danger of nuclear annihilation is not front-page news. The unfolding consensus among Pentagon war planners is that a Third World War is “Winnable”. Concepts are turned upside down. Political insanity prevails. A diabolical discourse is unfolding. 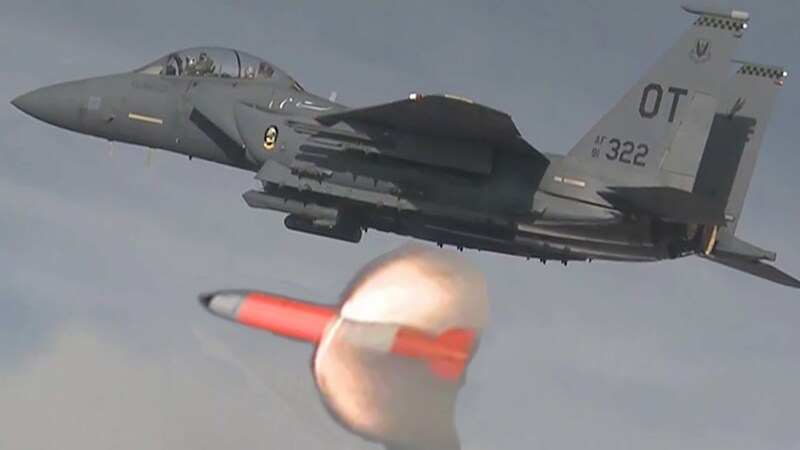 The so-called “more usable” tactical nuclear weapons (B61-11, B61-12) with an explosive capacity between one third and twelve times a Hiroshima bomb are heralded (by scientific opinion on contract to the Pentagon) as “peace-making” bombs, “harmless to the surrounding civilian population because the explosion is underground”. These are the weapons which are contemplated for use against North Korea (or Iran) in what is described by the Pentagon as “a bloody nose operation”, with limited civilian casualties. And the corporate media applauds. 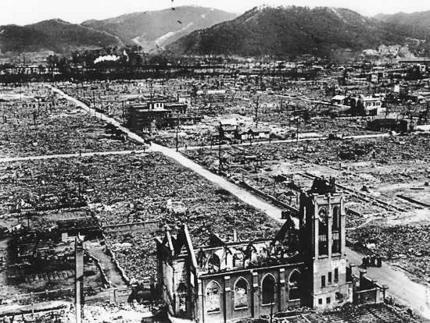 Lest we forget, when the first atomic bomb was dropped on Hiroshima (see image below), 100,000 people died within the first seven seconds following the explosion. Needless to say, today’s nuclear weapons are far more advanced than those dropped on Hiroshima and Nagasaki in August 1945. When war becomes peace, the world is turned upside down. Conceptualization is no longer possible. Insanity prevails. The institutions of government are criminalized and so is the media. The Pentagon and NATO are beating the drums of war. What is at stake is a Worldwide media disinformation campaign in support of a Third World War, which almost inevitably would lead to nuclear annihilation. In the words of Fidel Castro: “In a nuclear war the “collateral damage” would be the life of all humanity”. When the lie becomes the truth there is no turning backwards. When war is upheld as a humanitarian endeavor endorsed by the self proclaimed international community, pacifism and the antiwar movement are criminalized. yet it should be noted that in the course of the last 15 years, the anti-war movement has largely become defunct, civil society organizations have been coopted. There are no easy solutions. What is required is the development of a broad based grassroots network which seeks to disable patterns of authority and decision making pertaining to war. This is by no means an easy and straightforward undertaking. This network would be established nationally and internationally at all levels in society, towns and villages, work places, parishes. Trade unions, farmers organizations, professional associations, business associations, student unions, veterans associations, church groups would be called upon to integrate the antiwar organizational structure. Of crucial importance, this movement should extend into the Armed Forces as a means to breaking the legitimacy of war among service men and women. The first task would be to disable war propaganda through an effective campaign against media disinformation. (including support of the online independent and alternative media). The corporate media would be directly challenged, leading to boycotts of major news outlets, which are responsible for channelling disinformation into the news chain. This endeavor would require a parallel process at the grass roots level, of sensitizing and educating fellow citizens on the nature of the war and the global crisis, as well as effectively “spreading the word” through advanced networking, through alternative media outlets on the internet, etc. It would also require a broad based campaign against the search engines involved in media censorship on behalf of the Pentagon. The President and Commander in Chief has blatantly violated all tenets of domestic and international law. So that making an oath to “obey orders from the President” is tantamount to violating rather than defending the US Constitution. Let us make that “moral choice” possible, to enlisted American, British, Canadian and US-NATO Coalition servicemen and women. Disobey unlawful orders! Abandon the battlefield! … Refuse to fight in a war which blatantly violates international law and the US Constitution! Across the land in the US, Britain, Canada and in all coalition countries, the new anti-war movement must assist enlisted men and women to make that moral choice possible, to abandon the battlefield in Iraq and Afghanistan, and now in Syria and Yemen. This will not be an easy task. Committees at local levels must be set up across the United States, Canada, Britain, Italy, Japan and other countries, which have troops engaged in US led military operations. This movement needs to dismantle the disinformation campaign. It must effectively reverse the indoctrination of coalition troops, who are led to believe that they are fighting “a just war”: “a war against terrorists”, a war against the Russians, who are threatening the security of America. Expose the “fake crises” such as the global flu pandemic as a means to distract public opinion from the dangers of a global war. This war can be prevented if people forcefully confront their governments, pressure their elected representatives, organize at the local level in towns, villages and municipalities, spread the word, inform their fellow citizens on the implications of a nuclear war, initiate debate and discussion within the armed forces. The World is at the crossroads of the most serious crisis in modern history. 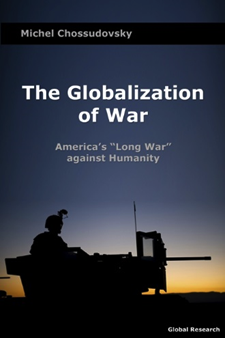 The US has embarked on a military adventure, “a long war”, which threatens the future of humanity. Author’s note: the later part of this article entitled The Road Ahead was first formulated in 2010.